The Fund Industry offers a comprehensive look at mutualfunds and the investment management industry, for fund investors,those working in the fund industry, service providers to theindustry and students of financial institutions or capital markets.Industry experts Robert Pozen and Theresa Hamacher take readers ona tour of the business of asset management. Readers will learn howto research a fund and assess whether it's right for them; thenthey'll go behind the scenes to see how funds are invested, soldand regulated. This updated edition expands coverage of thesegments of the industry where growth is hottest, including hedgefunds, liquid alternatives, ETFs and target date funds—andadds an introduction to derivatives. Along the way, the authors describe the latest trends anddiscuss the biggest controversies—all in straightforward andengaging prose. 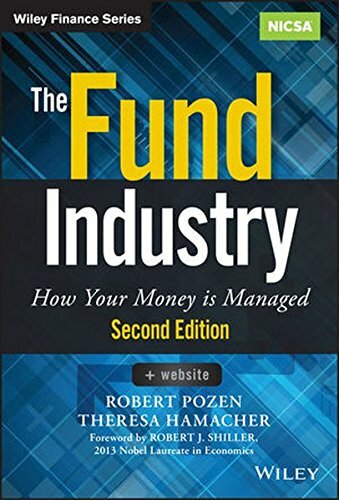 The Fund Industry is the essential guide tonavigating the mutual fund industry.